This is a green mat forming plant, sometimes purplish in older plants. 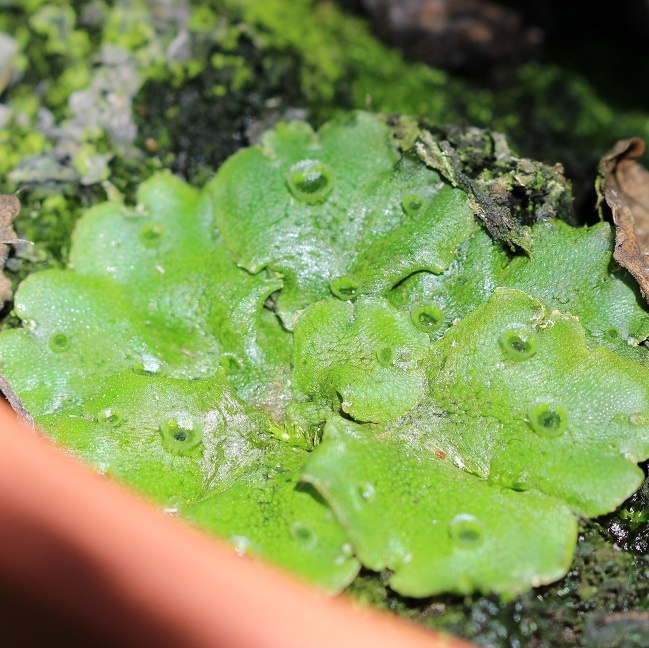 The plants produce umbrella-like reproductive structures known as gametophores. 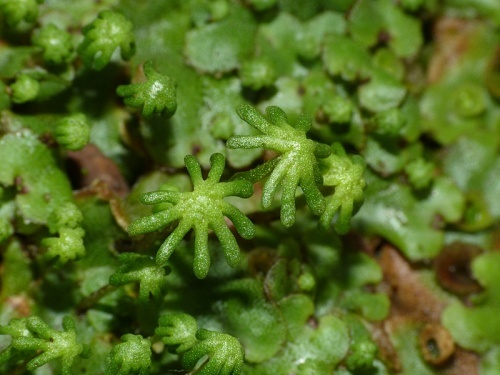 Those of female plants consist of a stalk with star-like rays at the top. 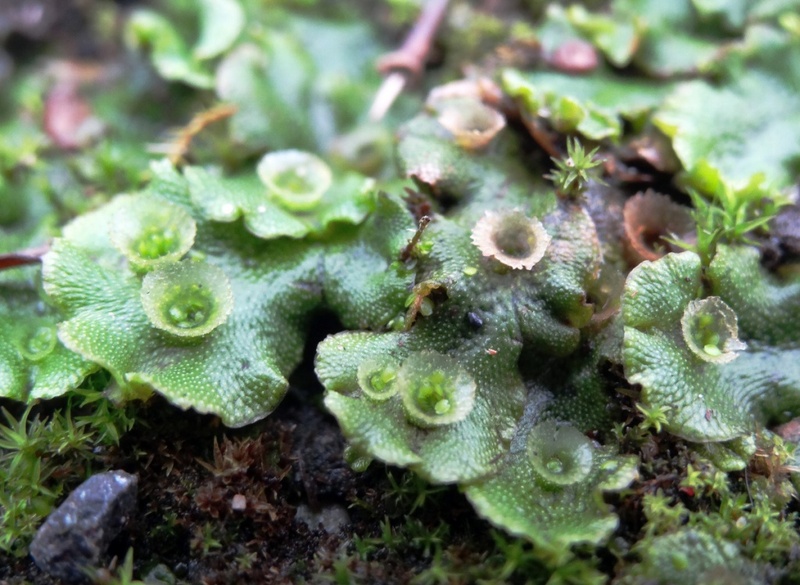 These contain the organs which produce the ova. 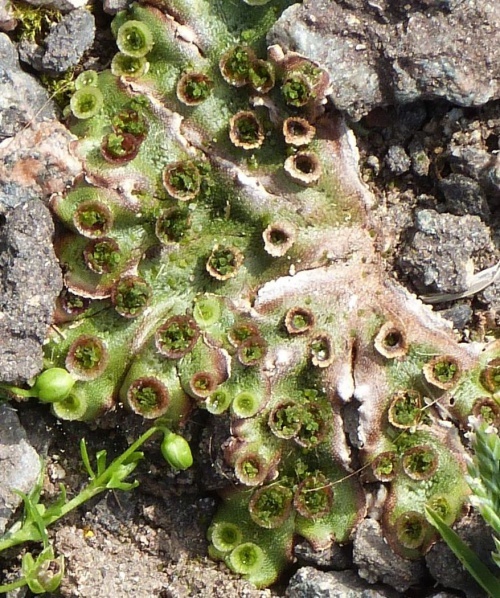 Male gametophores are topped by a flattened disc and produce the sperm. 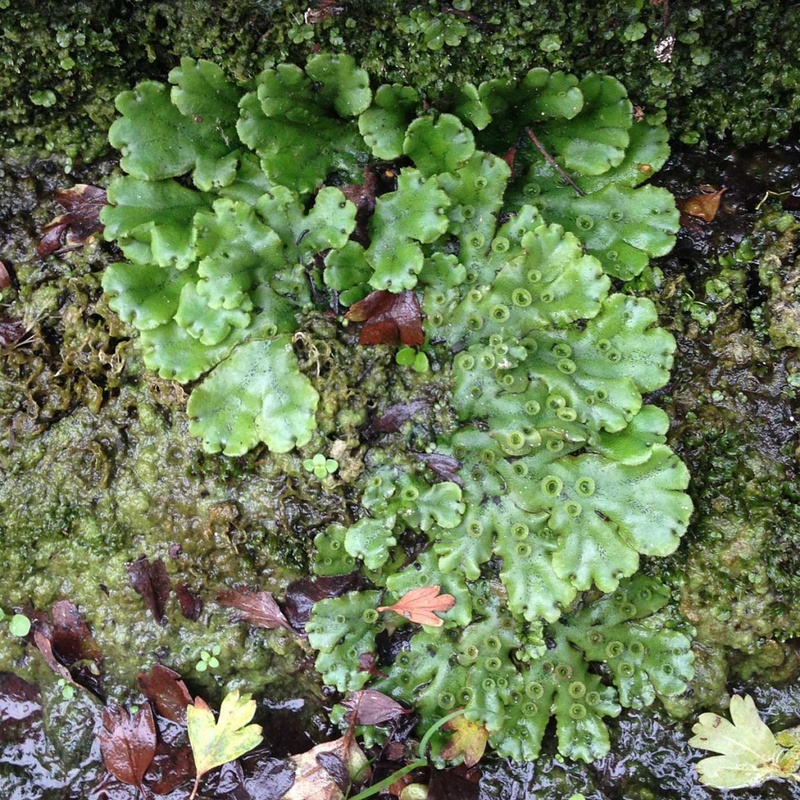 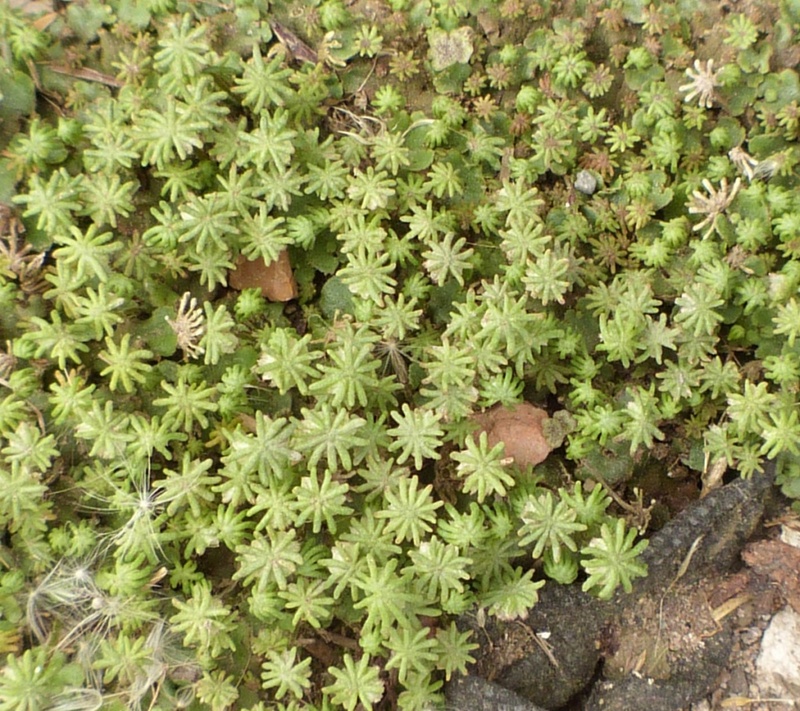 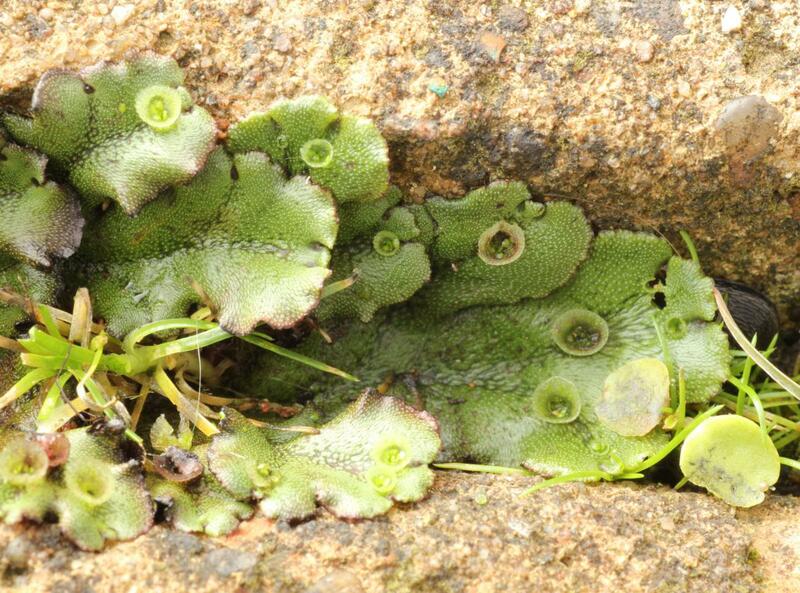 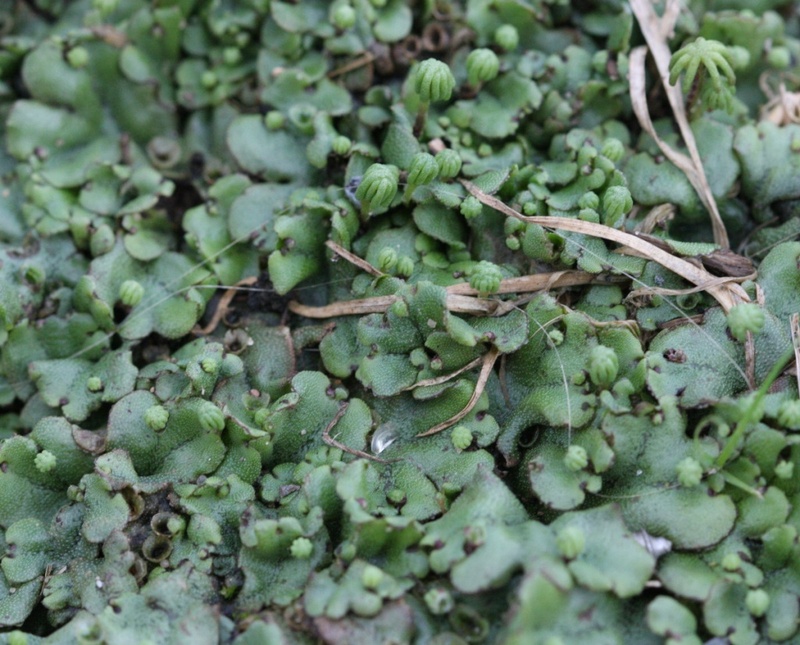 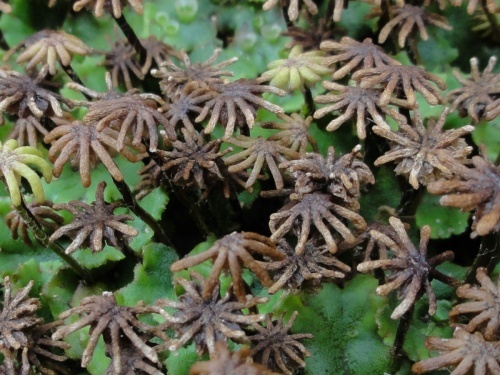 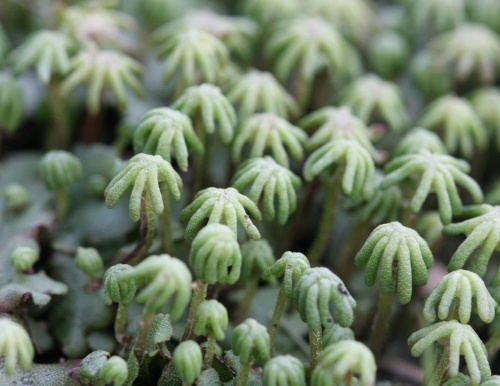 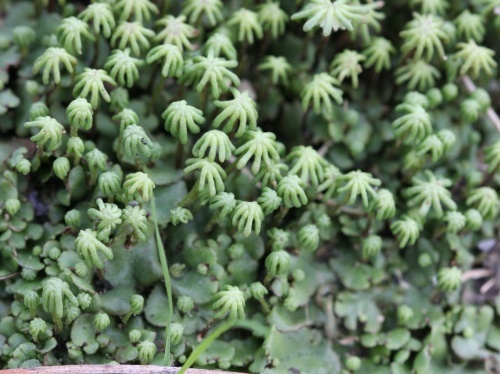 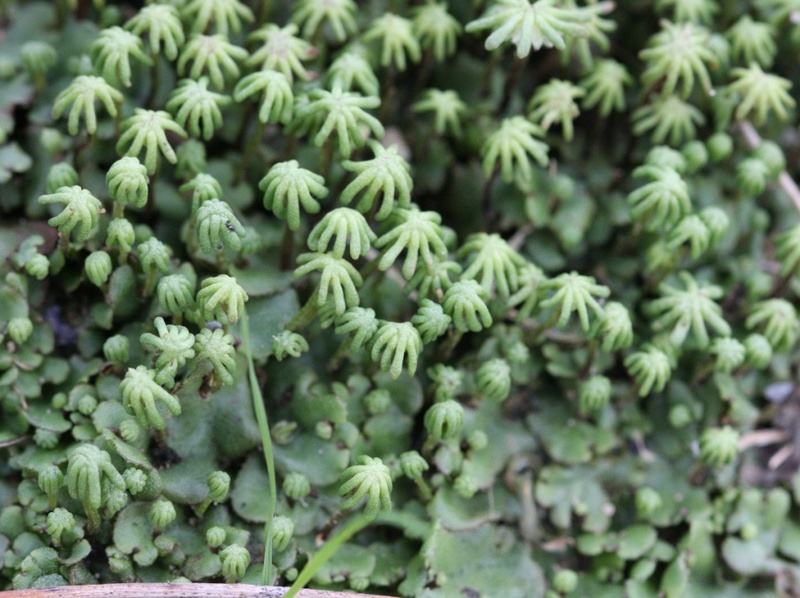 This species grows on soil or sometimes rock in very wet, shaded areas. 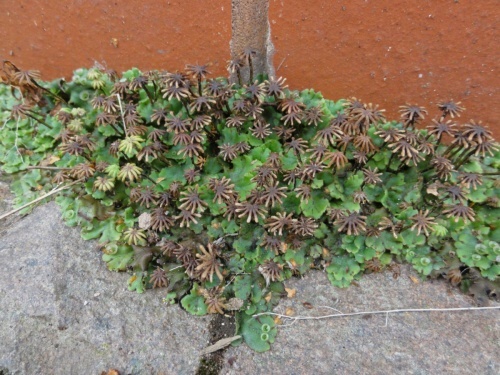 The plant is visible all year round. 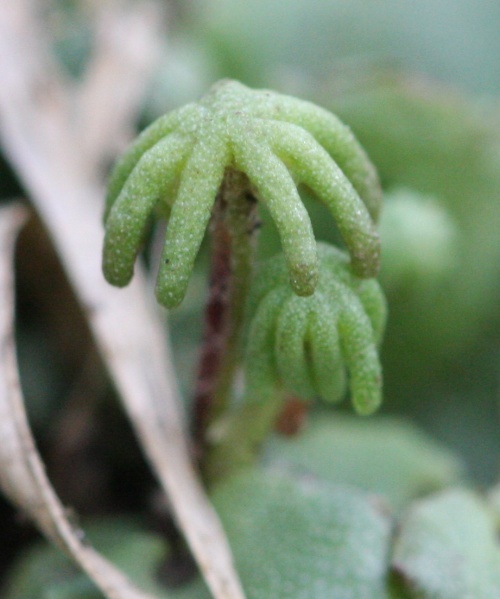 The pictures show the reproductive structures appearing in June.